Mapping and Assessing Benefits coming from the European Overseas’ Ecosystems. 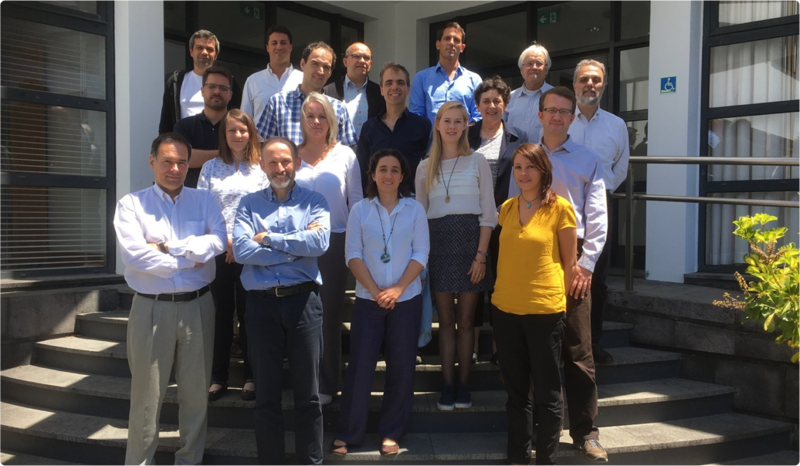 Facilitating MAES to support regional policy in Overseas Europe: mobilizing stakeholders and pooling resources – MOVE (April 2018 – March 2021). 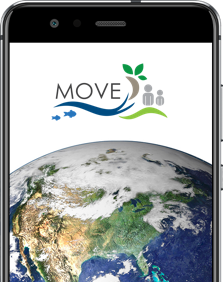 MOVE pilot project intends to involve policy makers, researchers and the civil society in the development of methodologies for mapping and assessing the state of ecosystems and their services in ORs and OCTs. A coordinated and synergistic approach is advocated to turn the geographical, political and knowledge base fragmentation of these entities into assets, pooling resources and building robust participatory tools. The project will start by assessing the state of the art of the MAES (Mapping and Assessing Ecosystem Services) exercise within the participating overseas regions, and by inventorying and motivating the human and material capacities present in each of them. It will then choose as case studies 4 specific regions and a particular contribution on which to focus the work of a dedicated team of local experts, policy makers and civil society members, pooled from across the OR and OCTs. In addition to producing a tangible contribution for the MAES exercise, this project aims to demonstrate the possibility and the added value of a bottom-up approach, involving and capacitating local actors. MOVE Pilot project will implement during three years the PILOT PROJECT — MAPPING AND ASSESSING THE STATE OF ECOSYSTEMS AND THEIR SERVICES IN THE OUTERMOST REGIONS AND OVERSEAS COUNTRIES AND TERRITORIES: ESTABLISHING LINKS AND POOLING RESOURCES called by the DIRECTORATE GENERAL of ENVIRONMENT (Directorate D _ Natural Capital) of the EUROPEAN COMMISSION. Ensure optimal implementation, coordination and integration of the project activities, through providing effective structures, tools and procedures for supervision of project progress, reporting, internal communication, and internal quality assurance. Task 2.1 – Describing the governance structure and mapping the stakeholder landscape. Task 2.2 – Assessing the state of the art and identifying needs and bottlenecks. Semi structured interviews and/or questionnaires with relevant stakeholders will be used to assess the state of the art of MAES, ongoing projects and the perceived needs and bottlenecks. This will be complemented with the results from the analysis of scientific literature from Task 3.1. This is a cross-cutting activity aiming at sharing knowledge and capacities between the ORs and OCTs and Europe mainland. Information collected in the project will be analyzed, integrated, synthesized and structured in order to fulfill the demands of MAES implementation in all EU member states, including the ORs and OCTs as well as marine areas. Eight regional contributions focusing terrestrial and coastal/marine ecosystem services will be selected and developed in order to address previously identified knowledge gaps and specific stakeholders requests/expectations in these regions by using the multidisciplinary current state-of-the-art in MAES, the available data, and the most advanced tools and models for mapping, assessing, monitoring and valuating ecosystem services. The current state-of-the-art on Science-Policy Interface Tools (SPIT) and methods will be reviewed and compiled as first step. Secondly, the technical specifications for this “boundary object/organization” (i.e. science-policy interface tool) in the framework of the project (and beyond) will be identified. As third step, a robust spatially-explicit web-based SPIT will be implemented and tested to support multi-stakeholders Ecosystem Services-oriented management using the SeaSketch tool in two selected regional case-studies. Finally, the impacts of the SPIT on knowledge and social interactions (collective learning process) will be assessed (comparative analysis, questionnaire). To review the performance of the tools and procedures tested, and the major constraints for their implementation. To integrate the lessons learned during the project, particularly the reports on the state of the art and on the case studies, in a proposed Strategic Plan for MAES in ORs and OCTs. Review of the tools used for the mapping and science-policy interfaces. A performance matrix will be designed to allow assessing the effectiveness, efficiency and sustainably of the tools according to the needs identified earlier in the project. Discussions with policy makers in the Regions will provide feed-back on the usefulness of the tools, the easiness of their implementation and the likelihood of their use in the future (precision on the set of conditions required). Major constraints as well as feasible solutions will be detailed and discussed. Specificity of regions will be considered. To ensure effective communication and dissemination actions, raising public awareness about Ecosystem Services as well as informing stakeholders, MAES specialists worldwide and general society about the outcomes of the project. Dissemination of the project activities will be done on a weekly basis through the “News” section of the project’s website, propagated in appropriate social media. An email and pdf newsletter will be published every 6 months and sent to the stakeholders and interested members of the public. Press releases will be produced and sent to target media outlets as seen appropriate by the consortium. A report on the dissemination and communication activities will be prepared, to be included in the official project reporting obligations. to build a collaborative network of local agents from a significant number of ORs and OCTs and mainland Europe teams. to engage stakeholders in identifying local priorities for MAES. to collaborate in the development of case studies addressing those priorities.